Aside from family members, the most important people in the lives of a Lynch survivor and previvor are their physicians. The choice of caretakers can make an enormous difference in the quality and longevity of life and we need to be very careful in determining to whom we wish to entrust our lives. First and primary is our general practitioner. He/she has to wear a lot of hats and requires special skills, including catching speeding bullets with his/her teeth, leaping over tall buildings, having X-Ray vision, hearing more confessions than the parish priest and providing as much advice on how to cope in life than a psychologist or a bartender. He/she is our first line of defense in any illness, including Lynch syndrome and holds an enormous responsibility. Today’s physicians need the above skills, especially due to the lightening fast developments of medical care, whereupon it is essential to know almost every disease imaginable, how to test for it, how to diagnose it, as well as address and document all the patient’s problems within an average of fifteen minutes per visit. It is no wonder we see most physicians, today, choosing to be specialists. It is also no wonder we see a severe shortage of GPs today, due to the extremely high, varied demands and the required knowledge to be an effective general practitioner. In light of the requirements of today, the best GPs are super heroes and if we find one that has an inkling about Lynch syndrome or the time to research it, we have ourselves a super star that we and our families will wish to keep for life. The process of finding a good practitioner is simple, however, with our special needs, we simply don’t want one that is “good.” In fact, that is true for our selections of our entire medical team. We want the very best and to find them, we’re going to have to search. The first place to begin our quest for an excellent general practitioner, gastroenterologist, oncological gynecologist, genetics counselor and oncologist, as well as other specialists dependent upon our inherited cancers, is through referral by those who work in the medical field. Interview them as to the positive and negative qualities of potential candidates and ask who they would recommend to care for themselves and their own families. They always know the best, most dedicated and passionate doctors. However, don’t stop at that. Check out and research the doctor. Verify the level of education and whether or not complaints exist at the State Medical Board level of your state and other states in which they practiced. Run a quick check of the courts to see if they have been involved in any litigation. Research what activities in which they are involved and learn more about their lifestyles. Conduct a “Google search” on them and see what turns up. Then assess what you find, very carefully. The next step is to call the office of the physician who meets your criteria and ask the nurse to ask him/her if they have ever treated anyone with Lynch syndrome. If the nurse responds, “Just a minute. Let me check with the doctor.” things are hopeful. It means if something serious occurs, the staff isn’t going to “shine you on” as what occurred above and the physician will be consulted. 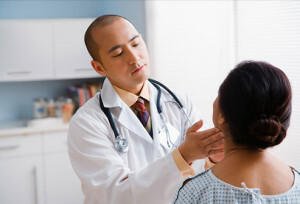 If she returns on the line and advises the doctor has treated individuals with Lynch syndrome previously or even states he/she hasn’t treated anyone for it but knows all the criteria for the surveillance and management of Lynch syndrome and the effects of cancer treatment, that doctor is a strong candidate. The third step is to schedule an appointment. During the first visit, note whether or not the physician takes a family history. If he/she doesn’t, scratch the physician from your list. The family history is important not only for hereditary cancers but any and all hereditary disorders, such as blood clots, allergies, heart problems and other matters which can arise or interfere with Lynch syndrome management. It is a very basic standard of care, taught in all medical schools. If the doctor doesn’t take the family history, don’t walk, but run out of his office. If he does and you click with one another, come to an understanding with one another. Our general practitioners will be with us for years and some will care for us during OUR entire lifetimes while others will be with our GPs for THEIR entire careers. A mutual environment of trust and confidence in one another is essential, due to the long term relationship and the nature of our disease. The choice of a physician is extremely important to us. My general practitioner is excellent. He has a passion for people, for life and for what he does. With a military background, his training is outstanding. His skills are excellent. He is a wonderful listener, is positive and full of energy. He is always prepared and has reviewed my file prior to our appointment, knowing up to the minute what has occurred with treatment with other members of our medical team. He knows my background, both professionally and personally. He is aware of the challenges faced in life, of my children, of my husband, of our home and where we have lived. He is aware of the challenges of treating an independent patient as me and we have an excellent understanding with one another. He is the expert and his job is to keep me alive. I am the patient and my job is to follow his instructions, make lifestyle changes and keep my attitude positive in order to allow my body to work within his efforts. I like and respect him as a person and have the utmost confidence in his abilities. Life with Lynch syndrome is greatly eased when we are so very fortunate to have an excellent general practitioner– and one that cares, is passionate, dedicated, committed. competent and blends with our lifestyles. One of the primary specialists many of us will need is a surgeon who will “resect” or remove the cancer and threatened surrounding organs, if they can safely be removed. In major population centers with a large amount of resources, there are surgeons who are surgical specialists, who have an immense amount of knowledge of a specific organ as a result of their specialty. They are able to keep on top of the newest means of technology and research discoveries. Those are the ones we, with Lynch syndrome, need. Prior to surgery, interview your surgeon. Verify his experience. 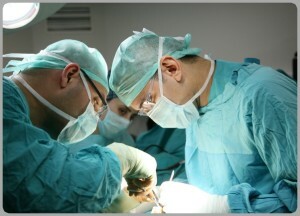 It has been my experience the surgeons which are the best for the resection of gastric cancers are either those who were trained or work in the large cancer centers or, today, the ones who have military experience in the Middle East, treating our soldiers. The trajectory of IED injuries ordinarily arise from the ground upward, thereby damaging the bowels and the gastric system. Not only are these physicians adept in colon and gastric surgeries but they are adept in successfully treating trauma situations which may occur during these surgeries. They are the best. And when it gets down to it, when we get into surgery, we don’t want the new kid on the block, despite all his training. 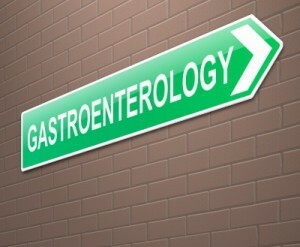 Too many individuals put too little emphasis or notice upon their gastroenterologist. One of the most important physicians in our lives, the gastroenterologist needs to be extremely proficient, with an adept eye to seek out polyps and other anomalies in the colon or the gastric area which are characteristic with Lynch cancers. The gastroenterologist will also assess the family history, which will determine which tests are necessary for annual surveillance. He will examine us annually and be consulted if there are any abnormal tests that indicate possible problems in the gastrointestinal areas of our body. Often our relationships with our gastroenterologist last for years, until the end of our lives or the end of the doctor’s career. Some individuals require an annual endoscopy as a result of a family history of gastric cancers and some have none because their cancers have solely been those of the colon. What is prescribed is dependent upon the family history so if the gastroenterologist doesn’t take a family history or take the time to speak with you, find yourself another. Anyone who has a physician such as that is fortunate. It is the example of an excellent gastroenterologist who is involved, takes the time to listen to us and explains information to us, allowing us to work on controlling and owning our own cancers. This is the gastroenterologist one wants when they have Lynch syndrome. Women will need a good gynecologist or gynecologic oncologist. There are many gynecologists who do not know about Lynch syndrome or its cancers, despite the very high risk of contracting female cancers. Speak to your general practitioner and ask him to recommend a good one…one that would be desired to treat either the physician herself or the physician’s wife. If available, individuals at risk for Lynch syndrome may wish to seek out a women’s cancer specialist, a gynecologic oncologist who should and will know the risks of the lynch cancers for women. For those of us Survivors, one of the most important individuals in our lives is our oncologist who will work with us while treating our cancers and who will remain in our lives during the “follow up” stage, for several years after treatment. The oncologist comes into our life ordinarily following the surgery. 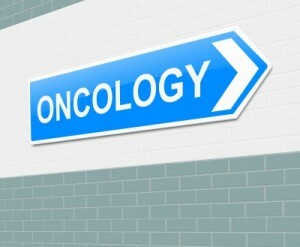 The oncologist is our life line as we go through treatment. They will order testing to determine if the cancers are being eradicated, prescribe and track our treatments such as chemotherapy and radiation and monitor us, often for many years, following a cancer diagnosis. An oncologist with an excellent team of oncology professionals; oncological nurses, oncological nurse practitioners and a trained, sensitive staff, is a god send. Often, treatment time is spent with these individuals and they become a very important part of our lives and a very important part of our chances for survival. Find an oncological team with whom you are comfortable. Muir-Torre is a variant of Lynch syndrome which is characterized by the development of sebaceous adenomas, epitheliomas and carcinomas as well as kercantothomas (Various tumors upon the skin) as well as the possibility of development of the other Lynch cancers. It is important to realize skin cancers are a part of Lynch syndrome and to discuss this with our physicians for screening for the presence of these tumors. It is important to have a good dermatologist who has a knowledge of Lynch syndrome and Lynch related tumors on our team. A good dermatologist for us, is familiar with Lynch syndrome and Muir Torre, a specific cancer syndrome, consistent with Lynch syndrome. The dermatologist will assess your family history and scan the body for anything on the skin which appears unusual. Dependent upon the family history, one may see the dermatologist every six to twelve months. Bladder cancers and renal pelvic cancers impose a 12% to 20% risk to those with Lynch syndrome and are more commonly seen within the MSH2 gene. As well, studies indicate a two fold risk for men for prostate cancer. The urologist can be a Godsend and a very valuable member of your team. They may choose to perform an ultrasound or take a urine cytology, and many give scopes, if there is a family history of bladder or ureter cancer. Your urologist will determine what kind of screening you need, hopefully taking into consideration family history and other factors. This individual is very important in our life as he/she will work with us and assist us in preparing our families for their missions in protecting themselves and their families through diagnosis. 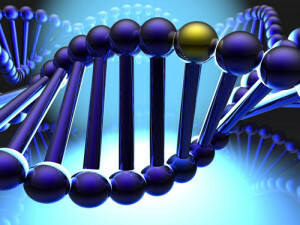 The genetic counselor will take a family history and determine which tests are necessary to be ordered. They will explain Lynch syndrome in detail and answer any questions a patient may have about the genetic details of Lynch syndrome, about anti-discrimination laws and be able to give accurate information and facts about Lynch syndrome. The genetic counselor, most often, will be available to assist in how to notify the family members about Lynch syndrome and be there to answer important questions one may have. As mentioned above, we, with Lynch syndrome, need a few specialists in order to survive and in some cases, those of us with Lynch II need more than just a few. We want the best and the most experienced. The type of specialist we need is dependent upon the type of cancer we sustain. Bedside manner is not the first thing we are seeking or want from a specialist (except perhaps our oncologist, gynecologist and our genetic counselor.) What we need, with our syndrome, is someone with the the best knowledge and the best skills in detecting and removing cancer. Lynch syndrome encompasses so many different cancers that many various specialists may be needed, including pediatricians (for the younger survivors) endocrinologists, neurologists, gynecologic oncologists, specialized radiologists and others. To find the best specialists who have a strong knowledge of Lynch syndrome, the best approach is to first speak with your GP and ask for his personal referral and with whom he would work best. With an excellent GP, you can pretty much be assured he will only be referring quality specialists who will focus on providing you with the best of care.